On August 15, 1935, in a plane crash near Point Barrow Alaska, famed aviator Wiley Post perished alongside his close friend, the renowned humorist and popular culture icon Will Rogers. With the exception of Charles Lindbergh, no American aviator of the time was as celebrated as Post, while Rogers was widely considered as the nation’s most gifted commentator on American society. Their loss impacted the two brightest spots in American culture during the Depression – aviation and film – and was especially devastating because of it. During the summer of 1935, Wiley Post and the famous American humorist, Will Rogers, ventured north to the territory. From left to right, Rogers, famous Alaskan musher Leonhard Seppala, Post, and famous bush pilot Joe Crosson stand near Post's Lockheed monoplane on a floatplane dock on the Chena River near Fairbanks. Against Crosson's advice, Post and Rogers pushed on from there and died in an airplane crash near Barrow. The nation entered a state of mourning that it has rarely done outside of the death of presidents. Flags were ordered lowered to half-staff by federal and state authorities. 12,000 motion picture theater screens went dark for two minutes at 2:00 pm on August 22 in tribute. Famed German aviator Ernst Udet eulogized Post, stating, “I consider Post the greatest flier of all time. He was a real pioneer. He ranked first both as regards positive accomplishments and fruitfulness of new ideas. He was the most advanced and courageous man aviation has thus brought forth.” Newspaper editorials called on President Roosevelt to declare a national holiday and day of mourning. Hollywood studios attempted to ban their actors from flying – even if not currently filming a picture. Both Post and Rogers resonated with Americans in the 1930s because they were regarded as being the epitome of the “self-made man” ideal that resonated so strongly at the height of the Depression. They were Oklahomans who “made good” from the part of the nation most affected by the Dust Bowl and the economic collapse. Post came from humble roots on a farmstead and Rogers grew up on a ranch, son of a Cherokee who fought for the Confederacy. Both had dropped out of school, yet had become two of the most beloved faces of American perseverance. Will Rogers’ rise to fame began on the vaudeville circuit as a trick roper in the early years of the century. He steadily grew in prominence through World War I as he expanded his repertoire and by the 1920s he had made a successful transition to silent films. His status as popular culture icon exploded in 1922 when he began to write syndicated columns for the New York Times that embodied an effective blend of folk witticisms and astute commentary on Americans' sensibilities and their place in the world. Unlike many silent film actors, his screen persona translated well to the talkies and at the time of his death he was at the height of his fame. Wiley Post’s early adulthood consisted of a brief stateside stint in the Army during World War I, work as a roughneck in the Oklahoma oil patch, and being arrested for armed robbery. He entered aviation in the mid-1920s as a parachutist for a flying circus. An accident at an oil rig cost him his left eye, but the injury payout allowed him to learn to fly and acquire his own aircraft. Because depth perception is often an important part of the pilot’s skill set, his later career as an aviator is all the more remarkable. "Post and Gatty Drive to City Hall"
"Round the World in Six Days"
The Smithsonian Institution acquired Post’s Lockheed Vega 5C Winnie Mae through an act of Congress. 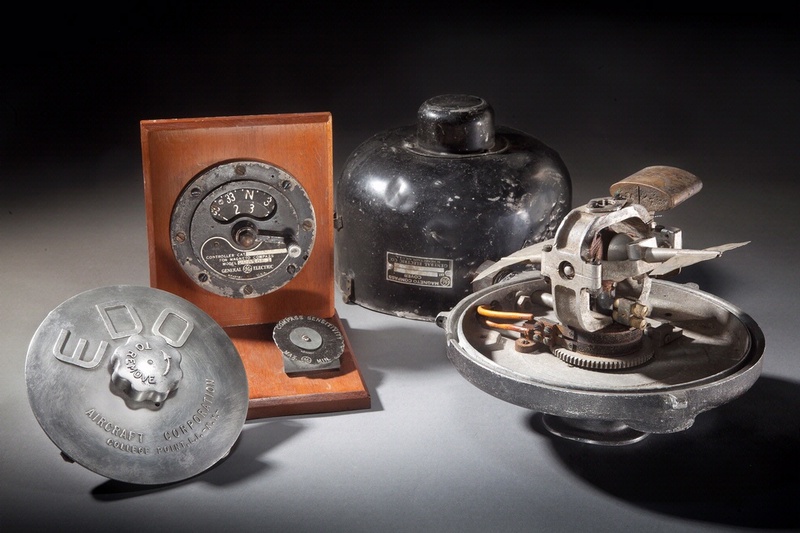 Post used this Sperry Gyroscope Company prototype for the first generation production autopilot on his 1933 around-the-world flight. Known as “Mechanical Mike,” the autopilot allowed him to simultaneously fly and navigate. "Wiley Post New Hero of the Air"
"Winnie Mae in New York 1933"
Famed aviator Wiley Post made many record flights in his Lockheed Vega <em>Winnie Mae</em>, including a high-altitude flight through the stratosphere from California to Cleveland in 1935. 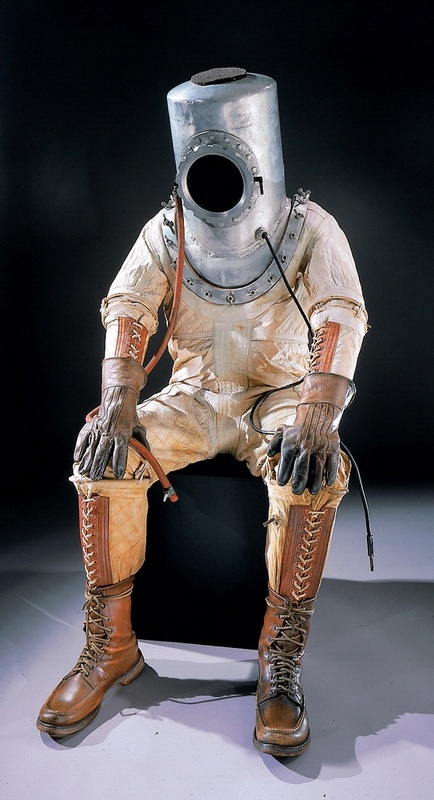 The airplane's cabin could not be pressurized, so Post wore this pressure suit, created for him by the B.F. Goodrich Company. Now regarded as an aviator in the same league as Lindbergh, Post found his niche gaining sponsors for new records with the Winnie Mae. Given that newer model aircraft, which Post could not afford, outperformed the Vega, he found an unusual new niche — high altitude (approaching 50,000 feet) flight, which would allow the Winnie Mae to utilize the better than 100 miles per hour speeds of the jet stream. His first step was to acquire a pressure suit. The only problem was that no one had yet made a practical pressure suit for aircraft. He worked closely with the Goodrich Company to construct several prototypes. With the fitting of a supercharger to Winnie Mae and the completion of testing of the pressure suit in a high altitude chamber, Post embarked on the most ambitious series of high altitude tests in an airplane up to that time. To eliminate weight, he had the landing gear on the Winnie Mae made jettisonable and reinforced the bottom of the aircraft so that it could be belly-landed on a soft field with the propeller stopped and suffer no damage. If Post's around-the-world flights had been simply prestige "stunts," the high altitude testing in the world’s first practical pressure suit demonstrated that Post was a legitimate aeronautical innovator and respect for him in the aviation community grew even further. Post had become close with Will Rogers after his 1931 around-the-world flight. Rogers was an ardent aviation enthusiast and frequently sang Post’s praises in his newspaper column. In 1935, Post suggested a flying getaway to Rogers who was under considerable pressure from his newspaper editor and Hollywood agent to maintain his previous output. Rogers jumped at the opportunity. By this time, the Winnie Mae was largely obsolete and worn out. Post had replaced it with a new aircraft which combined a Lockheed Orion fuselage mated with wings from a different model Lockheed aircraft – an Explorer. As Post was not an aeronautical engineer, the combination was potentially hazardous and he made it more so by adding floats from a larger Fokker aircraft. This made the aircraft dangerously nose-heavy. Nonetheless, Post and Rogers set off to explore Alaska and Russia. The aircraft performed adequately at first, but the engine sputtered while taking off from a small lake in the tundra near Point Barrow and Post could not recover. Both men were killed when the plane struck the water and flipped. An investigation raised serious questions about Post’s decision to cobble together major parts of his aircraft from different models. Supposition centered on engine problems possibly brought on by carburetor icing and an insufficient amount of elevator surface to counteract the nose heavy loading of the aircraft in a glide. The loss of Post and Rogers near the height of their fame helped ensure their enduring stature as icons of Depression-era America, but their accomplishments stand as evidence that there was still a popular spirit of adventure in the United States that economic crisis could not dampen. The Smithsonian Institution moved quickly to acquire artifacts from Post's record flights well before his fatal accident, though the actual transfer was mostly facilitated by his widow, Mae Post (no relation to the plane's namesake). Evidence of Post's significance was apparent when Congress stepped in to help fund the acquisition of the Winnie Mae. 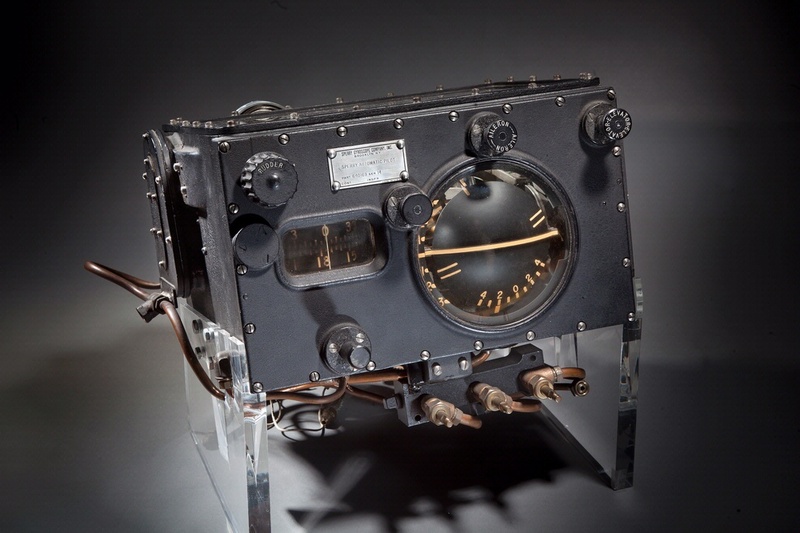 Mae Post donated many other items, including her husband's pressure suit, his first prototype pressure helmet, and even aircraft components from his fatal crash and the milestone Sperry autopilot used on the 1931 around-the-world flight. 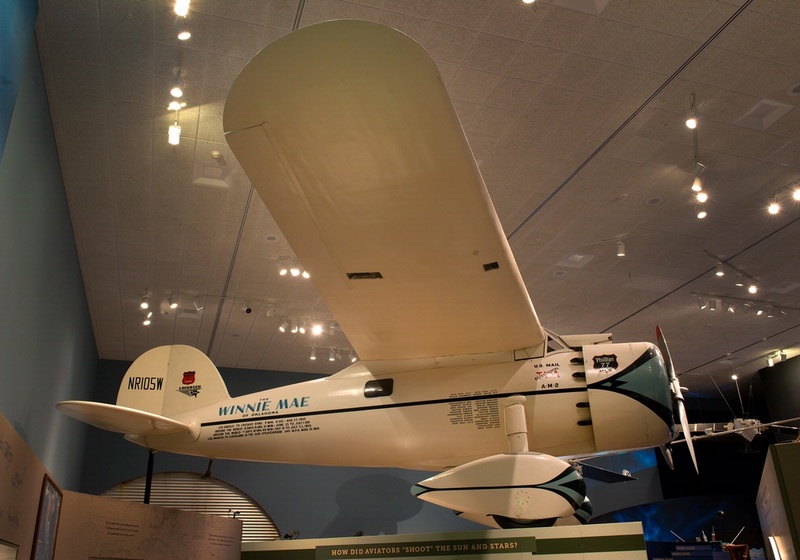 The Winnie Mae and Post’s other items have long been some of the most treasured items in the National Air and Space Museum’s collection. On this anniversary of his passing, we’d like to share some of the images and artifacts associated with this remarkable man from a remarkable period in our history. These artifacts from Post's fatal crash are on display at the National Air and Space Museum in Washington D.C.